PHILIPPINES, 08 JUNE 2016 – MTV Music Evolution Manila 2016 has completed its line-up with the addition of two more stellar acts set to celebrate pop music like never before on 24 June 2016 at SM Mall of Asia Concert Grounds. MTV revealed today, L.A.-grown electric dance trio Far East Movement and Philippine pop superstar father and son-tandem Gary V feat. Gab Valenciano will join the roster of talents for the award-winning1 MTV Music Evolution Manila 2016. They are slated to set the stage ablaze at the one-night only live music event – joining previously announced acts; iconic international pop band and prolific hit-maker OneRepublic, Billboard Hot 100 artist, American singer-songwriter Bebe Rexha, Korea’s favorite K-pop idol female group, Apink, Filipino pop darlings James Reid and Nadine Lustre – enabling fans to experience and discover the evolution of pop music and its dance influence that keeps fans moving. The international sensation, Far East Movement (FM) has always had dance music in their DNA, having established their roots in dance early on with their break-out hit “Like a G6” which landed No. 1 on the Billboard Hot 100. They have since grown to be one of the most exciting touring acts in dance music, cultivating an ever-growing catalog of music with support from hit-making musicians such as Skrillex, Diplo and Afrojack. Another big hit for the trio, “Rocketeer” is the second single from FM’s 2010 album Free Wired and features Ryan Tedder of OneRepublic. The track, which was written by FM as well as members of the production teams of The Stereotypes, The Smeezingtons, peaked at No. 7 on the Billboard Hot 100 upon release. Their current collaboration, “Break Yourself” with Hook N Sling has become a staple track from their devoted online base of followers. No stranger to MTV live music events, they have also performed at some of the most prestigious festivals Ultra Music Festival and Electric Daisy Carnival, continually showcasing FM as one of the most exciting touring acts in dance music. The trio who comes back to the Philippines for the first time since 2011 is excited to return. “Manila is one of our favorite places to party around the world, and we’re ready to dance with everyone at MTV Music Evolution Manila!” – Far East Movement. With a career of over three decades in entertainment, Gary V, or Gary Valenciano, is the epitome of an icon in Philippine pop music. The multi-awarded singer-songwriter, producer and dance choreographer has to-date released over 32 albums locally and internationally, from which timeless songs like “Di Bale Na Lang”, “Hataw na”, ‘”Eto Na Naman”, “Sana Maulit Muli’”and “Shout for Joy” among many others, catapulted him to the status of a classic Philippine pop superstar. He has toured extensively in Asia, Europe and the Americas filling in prestigious venues like the Nokia Theater in Los Angeles, the Hammersmith Apollo in London and Olympia in Montreal and with each explosive stage performance, solidifying his reputation as “Mr. Pure Energy”. He holds an illustrious record for the most number of Awit Awards won; twelve years total as Best Male Recording Artist. More than thirty years after his debut, he continues to delight and excite Filipino audiences here and the world over with each concert. Today, the Valenciano family name continues to stand for dance and music artistry with Gab Valenciano, Gary V’s son as he etches his name onto Philippine pop culture and music as a remarkable percussionist and musician, producer, arranger and choreographer. A Philippine celebrity dance champion for the Philippines’ TV5’s Shall We Dance Competition, Gab hones his craft in traditional and contemporary ways. He is dubbed as “Super Selfie King” from his self-edited, produced and scored YouTube Channel which garners multi-million views. Aside from his various Philippine projects involving hosting, acting and live performances, he has also delved into the realm of directing, having worked with American Idol sensation, Jessica Sanchez for one of her most current releases, “This Love”. The young Valenciano received international attention and renown, including a nomination for “Best Choreography” at the MTV VMA’s in 2015 for his collaboration with global pop superstar Beyonce for the video release of 7/11. Recorded live for global telecast under the MTV World Stage global series, MTV Music Evolution Manila 2016 will reach an international audience of more than three-quarters of a billion households in over 160 countries. MTV Asia VJs Alan Wong and Hanli Hoefer will be hosting the event, along with MTV Pinoy VJs Yassi Pressman and Andre Paras. MTV Music Evolution: Manila Asia Special premieres on MTV on Tuesday, 19 July at 3pm (WIB), 4pm (PH/SG) and 5pm (MY/TH). The one-night only live music event will celebrate pop music like never before – enabling fans to experience and discover the evolution of pop music and its dance influence that keeps fans moving. MTV Music Evolution Manila 2016 will showcase iconic and contemporary international music artists and the hottest new acts in both the regional and local music scenes on a single stage, while featuring the best of Philippine music and culture to international youth audiences. Further details of MTV Music Evolution Manila 2016 will be announced in the run up to the event. The free-entry2 event will be held for one night only. MTV Music Evolution Manila 2016 is sponsored3 by the Tourism Promotions Board (TPB) Philippines of the Department of Tourism (DOT) with media partners Philippine Concerts, ClickTheCity.com, Digichive, Gist.PH of The Philippine Star, Inquirer.net, MEG Magazine, NYXSYS, PhilippineConcerts.com, WhenInManila.com, radio partners 99.5 Play FM, 101.1 YES FM, Oomph! Radio (Cebu, Davao and Zamboanga), broadcast partners Cablelink, MyCATV, PBO, Sari Sari channel, TMC, Viva TV, travel partner Asiatravel.com, venue partner SM Mall of Asia, post-party venue partner Chaos at City of Dreams, roadshow partner Robinsons Place Manila, hotel partner Hotel101, and ride partner Grab. MTV Music Evolution Manila marked its inauguration 2015 edition with a feature on hip hop, which showcased a stellar line-up of international and local acts who took to the stage in celebration of iconic and contemporary hip-hop music. Through explosive performances by Naughty by Nature, YG, Apl.de.ap, DJ Cash Money, and the Philippines’ own Gloc-9 and Abra, MTV Music Evolution Manila 2015 showcased the way that hip hop has shaken up the music scene throughout the years – taking the music genre to whole new levels for a live audience of more than 22,000 fans who gathered at the historic Quirino Grandstand, Rizal Park in Manila. 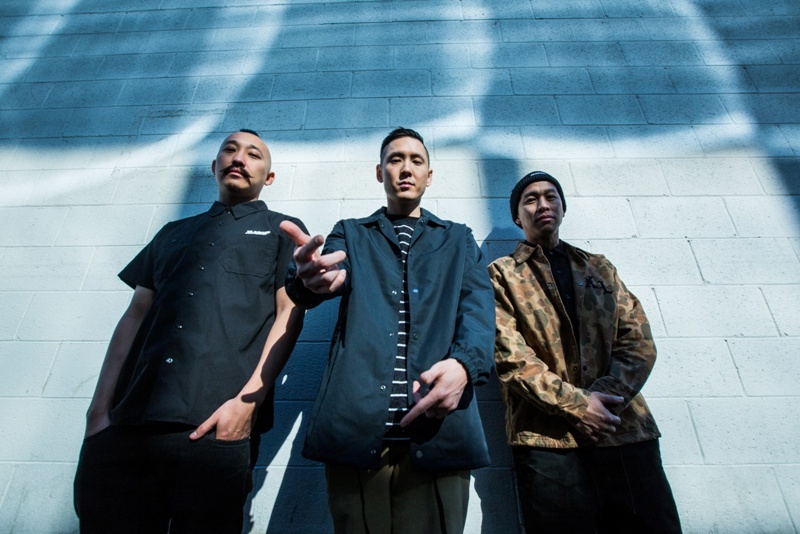 Far East Movement has always had dance music in their DNA; their early breakout hit “Like a G6” established the LA trio as major dance commodities around the world. Since then their ever growing catalog of music has been supported by celebrated artists such as Skrillex, Diplo, and Afrojack. They have also performed at some of the most prestigious festivals like Ultra Music Festival and Electric Daisy Carnival, continually showcasing FM as one of the most exciting touring acts in dance music. The group has stayed busy this year with a slew of collaborations on reputable labels such as Ministry of Sound, DimMak, and Ultra. Their current collaboration “Break Yourself” with Hook N Sling is a staple on video channels of all formats so much that Pusha T has just joined the fray on the official remix. Their project “Cool Water” with producer Autolaser gained major support from dance blog ThisSongisSick.com and was featured as the first song on their Soundcloud page for weeks. FM has also expanded their scope by managing six artists under their company Transparent Agency who have had releases on OWSLA, Armada, and Dim Mak themselves. They also just opened up a new joint label with Trap City, the largest Trap Channel in the world (over 2 million subscribers), named BredNButter with a myriad of releases slated to start at the end of the year. Throughout it all, Far East Movement still loves to make their own music and are hard at work on their next full length release slated for later this year. Gary Valenciano entered the world of Philippine entertainment in the 1980s, appearing as a solo artist on television shows. From his early beginnings, the multi-talented musician, singer-songwriter, composer, producer and dance choreographer built one of the most notable and long-standing recording careers in the Philippine music landscape: to date, Gary V has released over 32 albums in the Philippines and internationally. Renowned for songs that both lyrically and musically appeal to a wide range of audiences, and over several generations, it is no wonder that Gary V is also one of the most awarded musicians with over twelve citations at the Philippine Awit Awards for Best Male Recording Artist and with albums collecting Gold, Platinum and Multi-Platinum Awards for record sales. Aside from his prowess in music, the Philippine pop icon is almost always also cited for his signature high-energy concerts. In his recordings and live appearances, he has performed with some of the most respected global singers including Brian McKnight, Julia Fordham, Cliff Richard, George Duke and Paul Jackson Jr. In response to Philippine fans all over the world, he has also toured extensively in Asia, Europe and America, and held concerts in over 20 countries. To this day, he continues to make music for his fans. In 2015, he won yet another accolade in producing the “Best Song Written for a Movie/ TV/ Stage Play” at the 28th Awit Awards for “Ipagpatuloy Mo, Galing ng Pilipino”. Gab Valenciano broke into the Philippine music scene as a notably talented dancer and performer who would follow in his father’s footstep as one of the country’s most highly acclaimed pop icons. Since then, he has broken the mold and carved his own path to local and international stardom and renown by taking on projects that pushed his creativity even further. The percussionist, drummer, musician, performer, producer and choreographer started in Philippine live performances and shows, appearing in a myriad of concerts alongside Gary V as well as many other household names like Rachel Ann Go. Practicing as a music producer and arranger for several artists like Sarah Geronimo and Jericho Rosales, he continued to work on his craft, garnering acclaim for Best Dance Recording Producer, Performer and Composer at the 2011 Awit Awards for “Move”. Online, he regularly releases work for millions of fans from his self-edited, produced and scored YouTube Channel for which he is dubbed as “Super Selfie King”. Aside from his various Philippine projects involving hosting, acting and liver performances, he has also delved into the realm of directing, having worked with American Idol sensation, Jessica Sanchez for one of her most current releases, “This Love”. The young Valenciano received international attention and renown when we collaborated for choreography on global pop superstar Beyonce’s video release of 7/11. An MTV Music Evolution Manila Roadshow will take place on 18 – 19 June 2016, 1pm – 6pm at Robinsons Place Ermita Midtown Atrium, Manila. This will give fans a chance to meet with MTV VJs Hanli Hoefer, Chris Schneider, Kito Romualdez and Josh Padilla. Music fans will get the last chance to score mosh pit access at MTV Music Evolution Manila 2016. A lucky few will even bag the coveted Meet & Greet passes to get up close to the stars! Start moving and dancing to your favorite MTV Music Evolution Manila performers’ tracks and you might just get the chance to win exclusive Meet & Greet and mosh pit passes! Show us your moves and upload your most fantastic 15-second dance video with the hashtags #MTVmusicevo and #MTVBump on to Instagram. Get the chance to be selected as the winner of Meet & Greet passes with your favorite MTV Music Evolution Manila 2016 performers plus mosh pit access at the live event itself on 24 June 2016. And the most exciting part is that you get the chance to have your video shown live on screen at MTV Music Evolution Manila 2016! Are you ready to dance? Contest starts 8 June so head on to MTV Asia on Instagram or www.mtvmusicevo.com to find out more! Get the chance to win free MTV Music Evolution Manila 2016 passes when you avail of GrabCar Sedan services from 21- 23 June 2016. Specially marked MTV Music Evolution Manila GrabCar vehicles will be traversing the Metro on these selected dates. Keep on using GrabCar and you might just be one of the lucky few to get picked-up by specially marked MTV Music Evolution Manila GrabCar vehicles and automatically win two FREE passes to MTV Music Evolution Manila 2016. Plus, on Friday, 24 June 2016 use the promo code MTVMUSICEVO when you book a GrabCar to or from MTV Music Evolution Manila at the SM Mall of Asia Concert Grounds and get a PHP 50 off for two rides. Early birds get even bigger savings! Be one of the first 1000 passengers to book via GrabCar going to the event venue on this date and get PHP 200 off your fare when you use the promo code MTVEARLYBIRD valid for one time use only. It’s even easier for overseas fans to catch MTV Music Evolution Manila 2016 live in the Philippines with exclusive travel deals offered on Asiatravel.com from 25 May to 21 June 2016. Get free entry passes to the MTV Music Evolution Manila 2016 when you choose from available travel packages that include hotel accommodation, airport transfers and flight options. What’s more, you can also get a free PHP 1000 Asiatravel discount voucher per booking for use on your next transaction. Travel Package from USD43 per person (min. 2 to go) – Hotel + Airport Transfers + Free MTV Music Evolution Manila 2016 Entry Passes with a minimum 1 night hotel stay. Travel Package with Flights Option –Flights + Hotel + Airport transfers + Free MTV Music Evolution Manila 2016 Entry Passes with a minimum 1 night hotel stay. Travel packages are available to travelers visiting Manila in the Philippines in June while stocks last. Check out http://www.asiatravel.com for terms and conditions. MTV Music Evolution Manila 2016 passes are not for sale and may be won by fans who correctly answer a contest question4 on www.mtvmusicevo.com. The online contest ends on 12 June. Answer a quick and easy question online to get the chance to win coveted MTV Music Evolution Manila 2016 entry passes. What’s more, fans can stand a chance to also win5 a trip to Manila to experience MTV Music Evolution Manila 2016 live! So get online today and get your access to MTV Music Evolution Manila 2016. Sponsors and partners will also be giving out passes through their own promotions.